About | Hancock Survey Associates Inc.
Hancock Associates is made up of talented Surveyors, Engineers and Scientists dedicated to excellence in land and coastal development, construction and preservation. Donald I. Desmond, Jr., P.L.S. Wayne has been a professional land surveyor with Hancock Associates for over 25 years. He maintains a broad knowledge of the technical, legal and logistical aspects of managing all areas of surveying projects. He is responsible for overseeing boundary, topographic and hydrographic surveys, geodetic and photogrammetric projects as well as G.P.S. and construction layout services. Wayne supervises a staff of over 20 land surveyors trained and equipped with state-of-the-art equipment, robotic and prismless laser equipment, software and G.P.S. Don Desmond co-founded Hancock Associates in 1978 with Frank Hancock. In 1984, Don took the helm as President and sole owner. After 32 years of success and growth, Don stepped aside as part of the succession plan, handing the reigns to Wayne Jalbert. 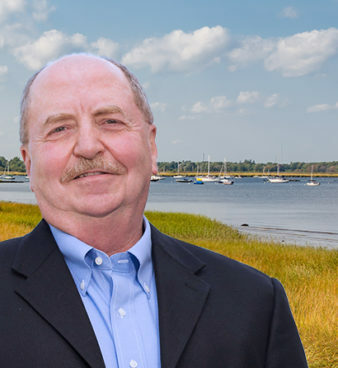 Don still contributes to the firm, lending his 40+ years of land surveying experience to the team and participating as a Director on the firm’s Board. With passion for travel, Don and his wife are spending their time seeing the world. With over 20 years of experience in land surveying, Scott is responsible for coordination of utility, residential, commercial and municipal projects including client contact, estimating, briefing field crews, conducting research, calculations and the preparation of final plans and associated documents. He is also responsible for CAD operations and oversees the duration of various survey projects. As Manager of Field Operations (Danvers), Scott directs the field crew’s use of state-of-the-art survey instrumentation including Robotic Total Stations, G.P.S. and Prismless Total Stations. Scott’s land surveying experience includes boundary surveys, ALTA/NSPS title insurance surveys, construction layout projects, FEMA elevation certificates, deformation/settlement monitoring surveys and existing conditions plans. 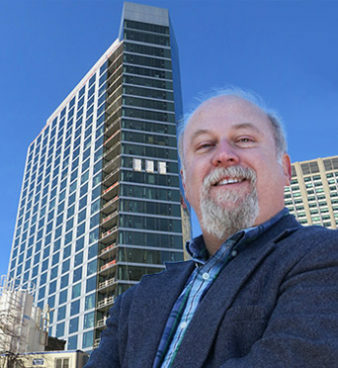 Joe has 30 years of experience in land development projects for Hancock’s private sector development clients, non-profit organizations and municipalities. 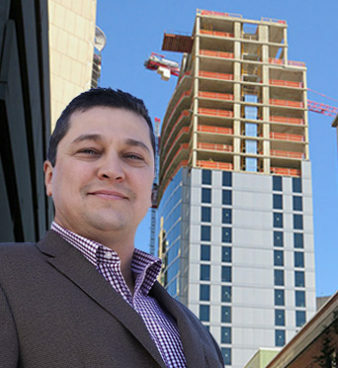 He has extensive experience with complex, high density commercial and residential developments throughout Massachusetts and New Hampshire. 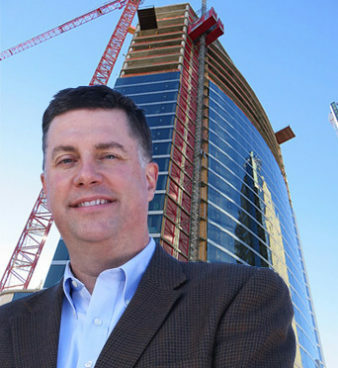 At Hancock Associates, Joe is responsible for managing the 20 person engineering division, strategic planning and business development, technical quality control and assurance as well as individual project management and design. Joe has 25 years of experience in land surveying. At Hancock Associates, he handles the preparation of numerous types of surveys and survey plans including boundary and Land Court surveys, construction layout, ALTA/NSPS Land Title Surveys and topographic and existing conditions surveys. He is responsible for the coordination with clients and municipal agencies, reduction of field survey data, CAD preparation of final products as well as overseeing staff and field personnel. Joe is also responsible for research, quality control and equipment calibration and procurement. Carlos has over 33 years of land surveying experience managing various public and private sector projects including large-scale construction jobs, boundary retracement surveys, “Form A” and definitive subdivision projects, as-built and easement plans, ALTA/NSPS Land Title Surveys, land court surveys, topographic and existing condition surveys and condominium projects. 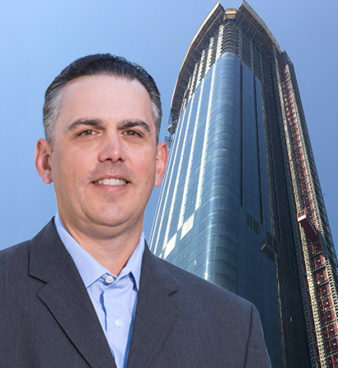 He is responsible for client contact, contracts and proposal negotiations, billing, field and office personnel supervision and project presentations to approving authorities. Andrew has been with Hancock Associates since 1997. He started in the field as a surveyor before moving inside to an administrative role at the Firm. As Associate & Operations Manager, he is responsible for all day-to-day operations and cash management. Doug has 36 years of land surveying experience which includes 25 years as an owner and operator of Andrysick Land Surveying and Acton Survey & Engineering. 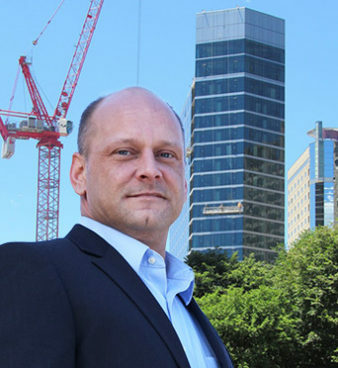 He is responsible for the coordination of residential, commercial and municipal projects including client contact, proposal preparation, invoicing, briefing field crews, conducting research, calculations and the preparation of final plans and documents. Doug is responsible for the scheduling of field crews and their use of state-of-the-art survey instrumentation including Robotic Total Stations and GPS systems. 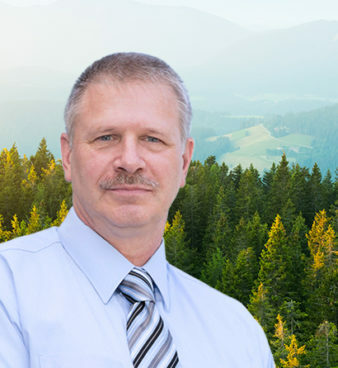 His experience includes large boundary surveys, ALTA/ACSM Title Insurance Surveys, Land Court Surveys, construction layout projects, FEMA elevation certificates, existing conditions plans, soil testing, wetland delineation and project presentations to boards and committees. As manager of the Princeton office, Doug is responsible for client contact, contracts and proposal negotiations, invoicing, field and office personnel supervision and project presentations to approving authorities. Ed has over 40 years of experience in surveying serving as president, branch manager, department manager, project manager, survey manager and crew chief for several well respected firms in New York and Massachusetts. He handles all aspects of a survey project including preparation of taking documents, record plan and condominium documents, site reconnaissance, field crew orientation, topographic mapping, property line analysis, construction surveying, easement surveys, FEMA Flood Certifications, Notice of Intent preparations, etc. 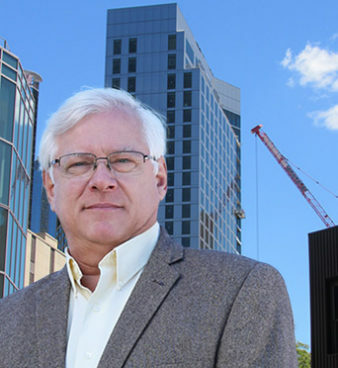 As the manager of Hancock’s Newburyport office, Ed is responsible for client contact, contracts and proposal negotiations, invoicing, field and office personnel supervision and project presentations to approving authorities. John has over 34 years of land surveying experience and over 27 years of civil engineering experience. For 32 years, he was co-owner and operator of Noonan & McDowell, a well-respected land surveying and civil engineering firm. 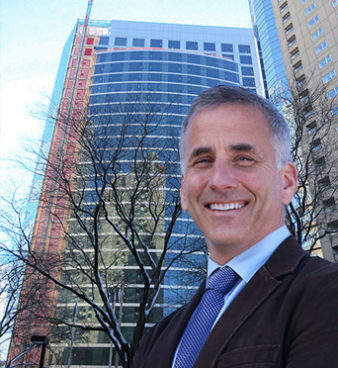 In 2018, the firm became a division of Hancock Associates. John’s professional services are performed for residential, commercial and institutional clients as well as local, state and federal agencies. His services include, but are not limited to, local government approvals for development projects and permitting with state and federal agencies for environmental assessments of civil designs. John performs land surveying services for boundary disputes, land court registrations, state boundary land surveys, settlement surveys, construction layout support for various commercial and residential projects. He also provides expert witness testimony for boundary disputes and civil engineering design impacts. 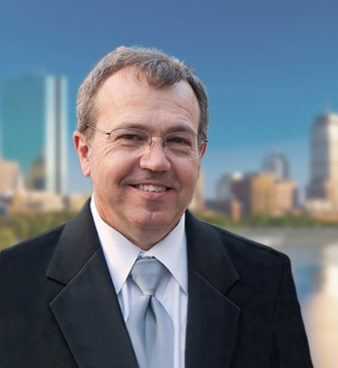 John has provided services for the Mass DOT for various highway and bridge reconstruction, Boston’s “Big Dig” with road construction support and the Rose Kennedy Greenway. 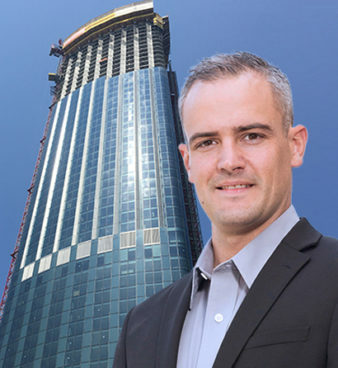 Brian is a Professional Engineer and has over eight years of experience at Hancock Associates. 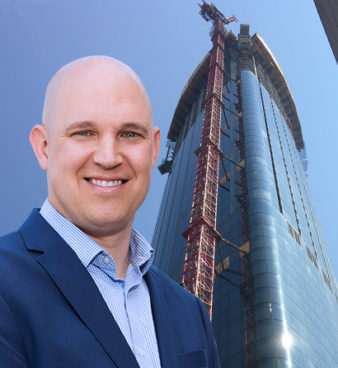 He has a proven track record in all aspects of land development from conceptual design to permitting, construction through as-built certification. 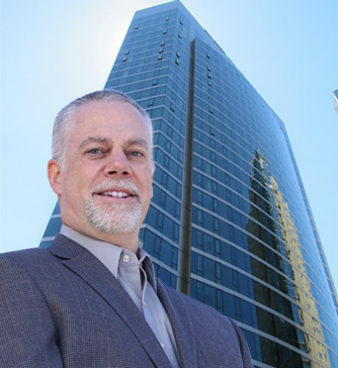 His expertise ranges from single-family residential subdivisions to high density mixed use projects for both the public and private sector. This expertise includes design and compliance for various regulatory filings such as: MassDEP Stormwater Management, 310 CMR 15 Title 5, 310 CMR 10 Wetlands Protection Act, 521 CMR Architectural Access Board, 527 CMR Fire Prevention and MGL Ch. 41 Sec. 81K-81GG Subdivision Control. He is responsible for the day-to-day operations of the Chelmsford branch engineering staff. Jason has over 20 years of experience in land surveying. He has a broad knowledge of the technical and legal aspects of utility, residential, commercial and municipal surveying projects. Jason is responsible for client contact, preparation of contracts, invoicing, briefing field crews, conducting research, calculations, the preparation of final plans and associated documents, CAD operations and GPS automation for the duration of various survey projects. Amy has over 15 years of experience in administrative and operations management. She manages a nine-person administrative team and oversees all administrative support functions including contracts, invoicing, client relations, accounts receivable, collections, branch offices and technology. She also coordinates special projects and company events and assists with marketing activities. As Manager, she directs day-to-day support of project managers at all offices. Kathy has been with Hancock Associates since 2008. She started as a Survey Administrative Assistant and moved to her current position in 2011. In addition to handling billing and accounts receivable, Kathy reviews municipal bids, RFPs, proposals, qualification packages, subcontractor agreements and insurance coverage. She also monitors contract changes, change orders, purchase orders, AIA forms, time sheets and more. She supports project managers at all offices in their contract, billing and collection activities. Additionally, she communicates regularly with clients handling electronic payments, preparation of account statements and handling general client inquiries. 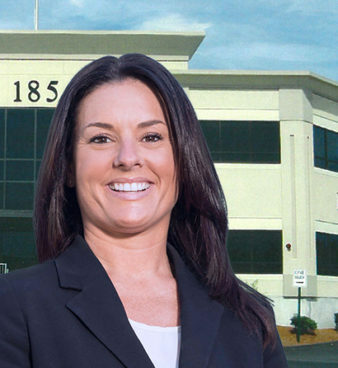 Tasney has nearly twenty years of experience in accounting and billing at several well-respected local construction and manufacturing companies. With her Bachelor of Science degree in Civil Engineering and Construction Management and being a graduate of the Accounting Certificate program, she is uniquely qualified to manage all financial functions at the firm. Colleen brings over 20 years of experience in finance and human resources within the engineering field. 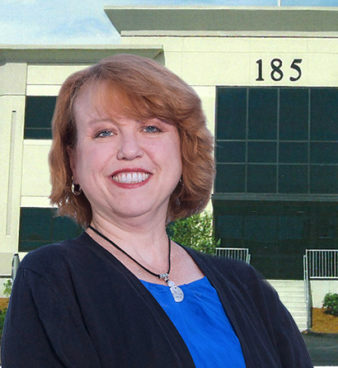 At Hancock Associates, she oversees company-wide accounting and human resource functions. As Bookkeeper, she prepares accounts payable, check runs, account reconciliations and tax documents. She also coordinates activities with the Firm’s CPA. As Human Resources Administrator, she processes electronic timekeeping, benefit management and is direct liaison to employees. 1978 - Frank Hancock, PLS, PE founds Hancock Survey Associates. His first hire is Donald Desmond. Hancock offers land surveying and civil engineering services to the local area of the North Shore and Essex County. 1984 - Don Desmond purchases Hancock Survey Associates from Frank Hancock and incorporates as Hancock Survey Associates, Inc. Hancock adds wetland science as a new service. 1992 - After the economic downturn, Hancock undertakes aggressive diversification and growth plan incorporating new technology, expanding into a broader geographic service region and maturing into large, complex design and construction projects. 1994 - Hancock expands ownership to include Wayne Jalbert, PLS and Vaclav Talacko, PE as Associates. 1996 - Branch office established in Bolton, MA. 1997 - Services expand to southern New Hampshire. 1998 - Hancock acquires the assets of Carter & Towers Engineering Corp. These assets expand the company’s archives to include land surveying records dating back to 1852. 2004 - Hancock moves into newly constructed office building at 185 Centre Street, Danvers, MA. Three additional Associates join Hancock, thus formally moving forward with the long-term plan for growth and stewardship. 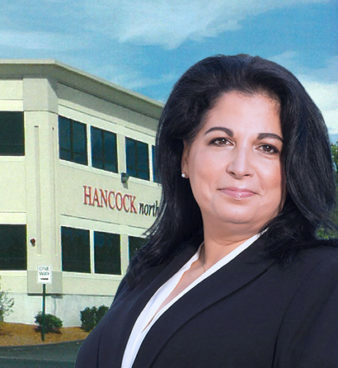 Hancock moves Bolton, MA office to Marlborough, MA due to successful growth. 2005 - Company acquires the assets of Pembroke Land Survey Company of Salem, NH and establishes branch office in Salem, NH. These assets include surveying records for southern NH, as well as Plum Island, MA. 2006 – Hancock expands surveying services to Connecticut. 2008 – A new branch office opens in Chelmsford, MA with the acquisition of Polaris Engineering. 2009 - Hancock expands surveying services to Rhode Island. Four additional Associates join the company. 2013 - Hancock acquires the assets of both Acton Survey & Engineering, Inc. and Andrysick Land Surveying. These acquisitions include offices in Acton and Princeton, MA and expand Hancock’s geographic reach. 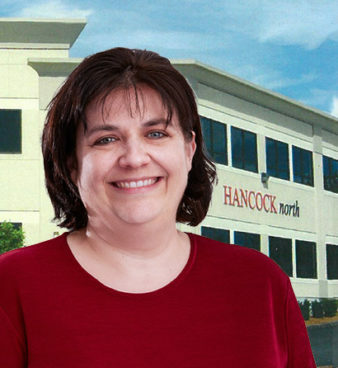 Hancock continues stewardship plan with an additional Associate. 2015 - Hancock consolidates Acton and Chelmsford offices into the Chelmsford location. 2016 - Hancock undergoes ownership transition as Wayne Jalbert takes over as President. Don Desmond oversees financial operations and special projects as General Manager and remains a Board Member. 2017 - Gregory G. Gould, PLS, Jason A. Ellis, PLS and Brian G. Geaudreau become Associates. 2017 - A new branch office opens in Newburyport, MA allowing Hancock to offer area residents land surveying, civil engineering and wetland/coastal permitting services in addition to access to historical records for Plum Island. 2017 - Don Desmond, Co-Founder and Former President retires from Hancock but continues role as a member of the firm’s Board of Directors. 2018 - Hancock Associates celebrates its 40th year in business. 2018 - Hancock acquires Noonan & McDowell, a well-respected land surveying and civil engineering firm in Billerica, Massachusetts. 2018 - Hancock acquires H.W. Moore Associates, Inc., a leading Boston engineering consulting firm specializing in civil/site engineering and land use planning services since 1967. Hancock Associates is looking for a Survey Field Crew Chief for our Boston office. Candidates must have experience conducting surveys including ALTA, existing conditions, Land Court, GPS, subdivisions, construction layout, settlement monitoring, lot stakings, etc. for projects including high profile developments, commercial, residential, infrastructure as well as lot surveys, plot plans and septic systems. Experience conducting boundary surveys and doing construction layout within the City of Boston a plus. Qualifications: Must have a minimum of five years’ experience in fieldwork with at least one year as a Field Crew Chief. Experience with total stations, electronic data collectors and GPS equipment required. SIT Certification a plus. Candidates must have a valid driver’s license and be willing to travel. Hancock Associates is looking for an Instrument Operator for our Boston office. Candidates must be fluent in operation of surveying equipment and comfortable in outdoor and construction environments. Candidates must have a valid driver’s license and be willing to travel. Must have a desire to learn new skills and work in a team environment. Entry level candidates also acceptable with coursework/degree in Civil Engineering and/or Land Surveying. Qualifications: Two years’ experience with total stations, electronic data collectors and GPS equipment and/or degree in surveying or related field such as civil engineering preferred. Hancock Associates is looking for a leader in Transportation Engineering to establish a new division within the firm. Candidates should be experienced managers with a proven track record in client development, management of engineering staff and execution of successful projects, both as the lead Project Manager and as part of a design team. Qualifications: Degree in Civil or Transportation Engineering; Massachusetts Professional Engineering License (PE); 8+ years of experience; experience with MassDOT design Manual; Professional Traffic Operations Engineer (PTOE) a plus; superior communication and organizational skills. Must have experience in preparation of Traffic Impact Analysis (TIA) Studies; roadway design including cross-section, profile, horizontal and vertical layout and grading; commercial development, mixed-use and multi-unit housing traffic internal circulation; parking lot design including ADA compliance; traffic calming design; signalization and signage design Streetscape, sidewalk and other pedestrian movement design; rights-of-way, easements, abandonments, acceptance and taking plans; MassDOT procedures for private developments accessing state roads; MassDOT programs such as municipal assistance and “Safe Routes to School”; AutoCAD, Civil 3D, AutoTurn and other related software; GIS data for presentation plans; preparation of reports, studies and exhibits; public presentations including night meetings; municipal contract procurement; private business lead generation. Job will include business development, estimating, proposal generation, project management, staff supervision, hiring assistance, public presentations and invoicing. Position includes research, calculations and CAD of projects including ALTA, existing conditions, subdivisions, construction layout, earthwork volumes and lot stakings for high profile commercial developments and residential projects. Projects will vary in scope, size, intricacy and location. Experience working within the City of Boston a plus for the Boston position. Qualifications: Candidates should have two years of experience in fieldwork and one year of office experience. GPS experience and SIT is a plus. Degree preferred. Experience with Civil 3D software and excellent communication and organizational skills are required. Positions include project management as well as business development, client relations, proposal development, hiring and supervision of staff engineers and representation of projects in front of municipal boards. Qualifications: Candidates must be a Registered PE in the state of Massachusetts. Additional licenses in CT, NH and ME are a plus. A minimum of 10 years of hands-on experience in the design of complex residential projects, commercial site plans, septic/sewer systems, drainage, etc. are required. Position includes performing civil engineering design work based on project requirements including grading, drainage, utilities, etc. utilizing AutoCAD Civil 3D, HydroCAD, etc. Qualifications: Candidates must have strong technical and analytical skills and proficiency in ACAD and Civil 3D software. Excellent communication skills and strong work ethic required. If we have a position available that matches your skills and experience, we will be in touch to schedule an interview. We look forward to meeting you! Hancock Survey Associates, Inc. is an equal opportunity employer.